There can be little doubt that your mind can make you ill. So can your mind heal you? Can stress or mental state cause cancer? 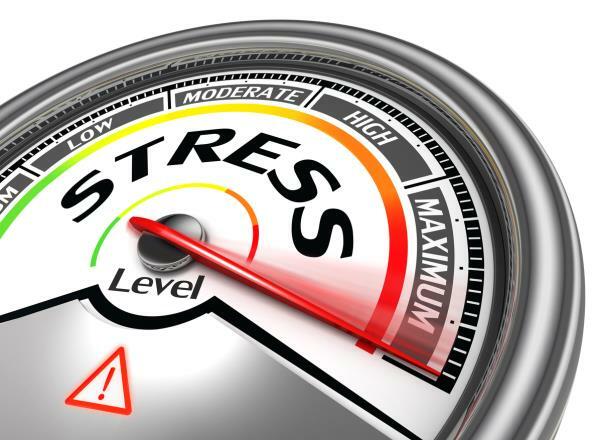 Can stress management help you beat it? The answer seems to be ’Yes’ to all. i) Depression is linked to an increased risk of cancer (and lowered blood oxygen levels). Conversely, exercise increases blood oxygen levels and reduces depression and cancer risk. It also increases survival times. ii) Stress hormones such as Cortisol can negatively influence the Cox-2 inflammatory pathway, a known precursor to certain cancers and illnesses like arthritis. iii) Furthermore, research from Yale has shown that this pathway influences two cancer-causing genes. iv) People with cancer have elevated stress hormone levels in their bodies - this heightens metastasis and cancer activity. v) People with cancer have severe shortening of their telomeres, the protein ’ends’ of the DNA strands which keep the DNA strands in place. A shortening of telomeres usually signals ageing and a reduced life-span. a) Diet can reduce stress hormone levels and increase survival times. c) Bioactive natural compounds like curcumin, garlic, ginger, resveratrol and also aspirin can reduce the COX-2 effect. d) Yoga can reduce cortisol and stress hormone levels. e) Meditation can reduce stress hormone levels and increases survival times ’significantly’. f) Stress management course including some of the above but also counseling, increase survival times ’significantly’. Stress and mental state can increase cancer risk; and tackling stress increases survival times - this involves employing a Rainbow Diet, incorporating certain bioactive natural compounds, along with exercise and especially yoga and meditation. Counseling helps if it is calming. In early 2004 Time Magazine (USA) sent out an army of top journalists to talk to professors and doctors on what was known about the power of the brain and illness - the so-called mind-body connection. The result was a special edition of 46 pages entitled, ’How your MIND can heal your BODY’. What was very evident from the magazine was just how much meaningful research and scientific study was in progress in America and how much is already known that can benefit your health. So, here in Pillar IV of our series (The other 3 were Poor Diet, Toxins and Infection), we decided to explore the, often-talked-about, Mind-Body connection further. The end conclusion of the Time report was that scientists knew that the mind could send out chemical messages (for example, hormones and electrical messages) and that these could have repercussions (both negative and positive) throughout the body. ’All we need to understand is the last step - how the cell is affected’ was the basic issue. They should have asked a Brit. In 1982 John Vane won a Nobel Prize and a knighthood for his work on eicosanoids, local hormones produced by cellular membranes. Although they last only a few seconds they can have huge effects, inflaming cells. Back in the nineties the work was furthered to show the presence of an enzyme (dubbed Cox-2) which lies behind this inflammation, and certain cancers such as colorectal cancer. Work from John Vane, the Mayo Clinic and others showed that Cox-2 is stimulated to produce more ’nasty’ local hormones by cortisol (the stress hormone), insulin and steroids. Fred Hutchinson Cancer Center in Seattle have shown that Yoga can reduce cortisol levels significantly; levels of insulin can be better controlled in the body by avoiding one or two big meals a day, and refined carbs and sugar (eat 6 smaller, low GI meals a day); and it is always wise to avoid unnecessary steroids. Moreover, aspirin, fish oils, curcumin, resveratrol, garlic and ginger have all been shown to reduce the negative effects of Cox-2. For example, Clinical Trials by Leeds University showed concentrated fish oils would calm inflamation and reduce pre-cancerous polyps in the gut. Emory and Memorial Sloan-Kettering have studies on the importance of curcumin in reducing inflamation and metastases. Much work has been conducted on the use of small (75mg) doses of aspirin in reducing pre-cancerous inflammation (For example by the Mayo Clinic, and Oxford University and the Radcliffe Hospital, Oxford). This final step was explained further when Tian Xu and a team of scientists at Yale Medical Center in 2010 showed that stress (emotional, work-related and other forms) causes cellular inflammation, which in turn stimulated two cancer causing genes inside the cell. ’Hitherto we always thought it, but couldn’t proove it’ Xu said. Cancer patients are often the nicest people. But they try to please everybody. And great Aunt Maud doesn’t want to be pleased. So they feel inadequate, frustrated. They worry. They take on the worries of others, their daughter’s relationship, their son’s mortgage problems. They often find themselves in the wrong job; they don’t want to criticise but they can see their environment is inefficient. All this stress, guilt, unhappiness, worry builds up inside them. They can’t express themselves, they keep quiet. No one wants to listen to them. They don’t make time for themselves - they are not calm, their soul is not calm, they don’t take exercise, they eat too hurriedly. It’s a downward spiral. And cancer is like Alien. It gradually takes over the mother ship. It takes control of the computers. The diagnosis of, the very presence of, cancer increases stress levels. The level of cortisol and other stress hormones have been shown to increase after cancer diagnosis. These stress hormones have been linked with an increase in metastases and, because of the inflamatory increases, the metastases appear to be able to take hold more readily. .
UCLA have conducted Clinical Trials showing that people with cancer who go on stress management courses survive ’significantly longer’ than those who take no steps to manage this stress. Such courses can involves everything from diet to yoga to counselling. Diet has been shown crucial to managing this stress (Harvard Medical School), and a Rainbow Diet particularly so (Las Palmas Medical School). Depression is linked to lower body oxygen, and a 30 per cent higher cancer risk. Eating colourful whole foods and avoiding junk can greatly alter a depressive state. As can exercise which can alter blood oxygen and hormone levels. There is even a UCLA Clinical Trial on Transcendental Meditation showing that this can reduce stress levels 40 per cent further than diet alone! Work by Philadelphia University Medical School showed how both meditation and prayer increases levels of melatonin in the body. Melatonin is mainly produced by the pineal gland about one hour after you fall asleep. It is also produced in the bone marrow. Disturbed sleeping patterns, night shift working, light in the room where you sleep, interfering EMFs (like WiFi, telephone masts etc ) have all been shown to lower melatonin production. A lowered level of melatonin has proven links to both male and female cancers. Melatonin is a powerful anti-oxidant and a hormone that regulates both oestrogen and growth hormone levels in the body. It is known to be important in cancer prevention, and is increasingly recommended as a part of cancer treatment programmes - read more here. Another UCLA research study showed that stress shortened the telomeres holding your DNA together - but stress management (including counselling, yoga and exercise, fish oils, meditation) lengthened the telomeres again! And don’t forget that exercise, with its release of endorphins, is known to help reduce and neutralise stress hormones. Endorphins are also known as happy hormones. You will release more just by having a laugh. Why not watch some comedy films you loved from the past. Does day-to-day stress cause cancer? At CANCERactive we are conscious that there is a 2012/3 research study from Cancer Research UK stating that there is no causal link between work-related stress and cancer. Frankly, the research we quote above is only the tip of the iceberg. Many people, especially women, will tell you that the death of a loved one, the stress they went through with their husband/daughter/boyfriend tipped them over the edge and brought on their cancer. We find the Cancer Research study puzzling. Contreras, at the Oasis of Hope in Mexico tells a wonderful story of a 50-something woman with breast cancer. He encourages every patient to bring their partener or a friend during their stay. He likes to interview all new arrivals on the first morning. During the interview with this lady, he noticed that every question he asked, the husband answered! After 20 minutes, he decided the husband should leave the room. After talking with the woman for a further hour, his ’treatment’ suggestion was counselling; twice a day for an hour each time - for 8 weeks. They sent the husband back home. The tumours disappeared. ’You see, she just had all this stuff she wasn’t allowed to get off her chest’, he said to me. Many people with cancer say it changes their lives very quickly. They decide what is immportant to them; and what is not. People with cancer MUST surround themselves with a POSITIVE support group, cutting out the moaners; the negative things - and people - that take away their energy. While we are not suggesting divorce (!!! ), we do urge partners to show understanding, to listen and provide genuine, constructive and uplifting support. Re-energising the person with cancer and helping them is their crucial role. Talking to orthodox medical practitioners about Chinese Medicine, or chakras and the difference between the physical brain and the mind, is always hard work. Yet, research exists, even photographs. Schoolboys do elementary experiments with currents and magnetic fields, the same principals are equally applicable to the body. Yet many simply choose to ignore, or even rubbish them. In the picture above, you will see a common representation of the atom. In the centre is a ’nucleus’ containing protons and neutrons. Spinning round this in various orbits are electrons.The protons are positively charged, the electrons are negative. The electrons are rather like planets orbiting the sun, andthey are held in these fields by electrostatic and magnetic forces. This ’spinning’ of electrons commands energy. Several things are immediately apparent. 1: The total atom is 99.99 per cent air - so your irritating neighbour really is 99.99 per cent hot air!! 2: The further away from the centre, the weaker the force holding the electron in place and the more easily it can be ’split off’. 3: The whole atom is an energetic system at a certain frequency. There are about 94 or so atoms of varying sizes, known to man. Atoms can join together to make molecules also of varying sizes and just as an atom has a certain frequency ofits own, so too has a molecule. Importantly the weaker outer electrons can transfer across from one atom to another, or from one molecule to another. 2: The ability of ’nasty’ free radicals to attack membranes, proteins and even the DNA in your cells. Well we also know that when a current flows - when electrons move - it generates a magnetic field around that ’moving’ electron - think of it as a force field. We know that, at birth, the human body is made up of 50 trillion cells, each containing about 7 trillion atoms and that electrons freely pass between them. There are around 6 trillion reactions in the body every second all involving these moving electrons. So your body is a dynamic moving electro-energy force. Each organ is made of differing molecules and structures so each organ has its own particular frequency and magnetic ’force field’ around it. At the most simple level, your body, the organs, the cells are changing structure constantly by exchanging old atoms fornew with your surroundings, through eating, drinking, breathing etc. Every day we exchange 300 billion atoms with our environment. Not surprisingly health ’gurus’ like Deepak Chopra will point to this constant dynamic exchange with your environment and confidently tell you that most organs in the body completely regenerate themselves every 90 days or even less. Why then should you not expect to be able to regenerate your health through carefully choosing the raw materials entering your body? Many people do make themselves ill because they ’feed’ their body poor mixtures of atoms. And they may well be able to correct most of the problems created if they convert to providing good mixtures. But there must be more to it than that. The outer electrons, and the magnetic or force field around them, are also constantly interacting with the electrons and field outside you. This is how you can feel things, for examplea ’presence’ in a room, without actually physically touching it. And the fact is that you and I have energetic and magnetic presence, over and above our physical presence. A Reiki master may well seem to have hot hands even when they are two inches from your body. Images have been taken of these energetic fields showing that they interact with others around them. Right now your energetic field is interacting with that of the person sitting next to you, the TV, even the Power Cables across the road. We have five senses, although much is made of some people possessing a ’sixth sense’. Why can you see the man next door or the tree in your garden? Because the frequency is within the range that your whole ocular system can detect. We already know that, for example, dogs can detect sound at frequencies beyond our register. Maybe our senses do not profit us - maybe they limit us?! Maybe we are not yet sufficiently evolved to detect other frequencies with our existing senses?! At Rice University in Houston Texas experiments on this ability to ’sense’ other electro-fields have had a surprising conclusion: The concept of ’Blindsight’, is where blind people actually can perceive things without the use of their eyes. One doctor who was blind from having two strokes, detected emotion on people’s faces correctly. In another controlled test blind people asked to say if bars were horizontal or vertical were right 75 per cent of the time. In a test to distinguish between red and green dots the blind people were 80 percent accurate. To the right is the classic diagram of a nerve. Nerves can run from the brain to the finger tip, or to the toe, and be seven feet long. (Actually this thing we call a nerve is really called anaxon). They can send their electrical charge that distance in a millisecond. Each nerve has insulation (a myelin sheath) and a ’power station’ called a Neuron. At one end the filaments, dendrites, connect to cells and other stimuli. Nerves operate in channels up and down the body via the spinal column and when a ’current’ runs there is a magnetic field generated outside it. They co-ordinate our muscles andour actions and monitor our organs. Since they link to all the organs it is not surprising that ’pollution’ in an organ can cause pollution in an axon and affect the electrical ’charge’ along the whole length. This, for example, is the basis of reflexology, where problems in organs can be detected by touching the relevant nerve endings in the feet or hands. Flatworms and similarly primitive creatures have individual neurons linked into a neural net and pathways. Higher invertebrates (like the lobster) have the same neural net but the neurons all collect next to each other in groups called ganglia, each controlling a segment of the body. Then, in primitive vertebrates there is a Brain Stem - a sort of Clapham Junction of ’nerves’ which links to the spinal column and functions mechanically to keep you alive - controlling involuntary actions like breathing, digestion, blood flow etc. At the next level we see the Hypothalamus, which exerts various body controls like electrolyte and sugar balance. It also controls body temperature - a feature lacking in reptiles. Next comes the Cerebellum which co-ordinates balance, movement and the muscles. This is well developed in birds. Right - abstract / shapes / visual information. Finally we have the Amygdala, a cluster of cells on each side of the brain. These are linked to the emotions. The Chinese call it Chi, the Japanese call it Ki, the Indians call it Prana, and many western doctors call it non-sense. It has never been categorically shown or proven to exist but its effects have. Some people would even go as far as to call it God’s Holy Spirit and depictions of it as auras around the body and head have been remarkably consistent through the ages. Compare an Indian Yogi, with Byzantine and early Christian art, or even the astral light of the original Kabbalah and you will observe the Halo - a simple expression of aura. Aura is something that we can get a fix on - since the Russian scientist Kirlian managed to develop pictures of it. We know that if you tear off a leaf from a plant, the aura remain; as it does with Alaskan crabs losing and re-growing legs or with geckos losing and re-growing tails. Five Thousand years of work with the Universal Life Force in Eastern medicine has led to an understanding of the Chakra System (see table below). The word Chakra comes from Sanskrit meaning ’wheel’ or ’disc’ and is a deep rooted part of Hindu culture. It is important to understand that the seven principal Chakrasare spinning vortices (wheels) of energy, each of a certain frequency (and thus correspond to a colour and sound tone). As soon as you understand that, you understand how, for example, crystals of different frequency might hinder or help them. Next, the Chakras all sit above the endocrine glands and so are linked to the hormone system. And these organs are full of nerve endings too. Each Chakra is linked to a higher level of mental state - be it your ’rooting’ in life or your sexual state, your practical state (people often get a bad stomach when the have too many practical worries) or your emotions. Poets like to talk of having a broken heart, but the death of a loved one leaves a drawing feeling at the stomach level under the rib cage - the emotional or third Chakra. The heart Chakra is at least 10 times stronger than the others, while the three uppermost Chakras are your more spiritual Chakras; the throat Chakra concerns communication, the pineal Chakra is your intuition, your sixth sense, and the crown Chakra connects you to cosmic influences and higher beliefs. Linked to each Chakra is an ’energy’ field around the body, an outer aura, layered from bottom Chakra to top. Most importantly to be healthy the Chakras need all to be ’fully energised’ and also balanced between each of them. Chinese medicine also argues that the Chi flows through the body in 12 channels, called meridians. Each Meridian has a channel on either side of the body and is linked to an organ. Each wrist has six pulse points corresponding to each organ. Much work was originally done on this at NASA - presumably they wanted to know how to communicate with little green men who don’t speak English. In fact NASA started the work that led to showing the benefits of acupuncture. Acupuncture is well known for its use instead of anaesthetic in China, and scans of the brain have shown certain areas being ’shut down’ during this process. Many Universities and Medical Schools are now researching these various complementary energy therapies and the medical communities in countries like the USA are considerably more advanced and open-minded than those in the UK. A whole host of techniques apart from acupuncture can be used to rebalance the Chakras - like Reiki, Kineisiology, Cranial Osteopathy, Hands on Healing etc. And given that poor posture and mechanical problems will inhibit energy flow in the body then Yoga, Pilates, Tai Chi, Qi Gong etc will all help too. What was fascinating in the NASA sponsored studies was the conclusion that your outer body energy gets ’ill’ first. But that fits with the ancient understanding of Chakras in that ’energy’ is deemed to flow inwards, into the vital organs. If a blockage occurs, or if the energy is simply not reaching the organ at the right level, then illness ensues. It is vital that everyone who is ill thus ’un-blocks’ the energy flows and both re-charges and re-balances their Chakras. A car is a super machine designed from a blueprint and comprising a host of different materials and parts from engine to tyres. So too the Orthodox Medical World by accident or design, seems to approach the human body in much the same way. A worn out liver can be replaced. As you can have new teeth, even knee ligaments. But are we simply a sum of our raw materials, disciplined and designed by our ’blueprint’ called DNA? You are neither a Rolls Royce nor a Ferrari. Nor a Mini, nor a Citroen. Some higher force lies above all of this, giving you attitudes, ideas, peace, or guilt. You are not a machine, which can simply be serviced when performing poorly. Even if ’medical breakthroughs’ imply that transplants can give you a new liver and kidneys, just as a car would have a new engine and gearbox, do you really feel you would be the same afterwards? There is a famous story of a lady heart transplant patient in the USA who several weeks after her operation had cravings for beer and McDonalds. She reported this to her medical team. She then had recurrent dreams of being visited by ’Michael’ - again she reported this, but also decided to break all the rules and find out more about the donor of the heart. And yes, you’ve guessed it - he was a man called Michael, killed in a car crash when pulling out of McDonalds slightly worse for wear on beer. I have always found an immense lack of logic in offering my organs for transplant. Am I dead when my heart stops, when my brain ceases to think, or when my energy leaves my body? If a medical team want my heart, they will take it as soon after it has stopped beating, as is possible. But the ’body energy’ is still part of the heart. My body energy. The Americans have even weighed it (it weighs 2.4 ounces). And since no doctor in the world is qualified to tell me where my body energy goes after my body dies (as this, of course, raises issues of spirituality, rebirth, God etc), I think - until someone actually proves otherwise - I’d like my body energy intact for the next stage of my existence, whatever that may be. The Egyptians believed that our body energy existed in the ’second plane’ - their definition of a state of energetic frequency. They believed that this energy field could ’increase’ to the third or fourth state; states that our eyes might not be able to ’see’ as they were outside the receptive frequencies of humans. The Mayans (who disappeared a while before them but had the same sorts of pyramids, hieroglyphics and even such an intricate knowledge of the heavens, we are only just matching) believed this too. And they too used to try to control their thoughts to energise their pineal glands to increase their whole energetic state! The French Philosopher and Mathematician, Ren Descartes, defined the concept of the Mind and the Body as a parallel dualism. Eastern philosophers have always thought otherwise - that the two belonged to an indivisible ’entity’. Whilst American scientists rubbished this theory for years they are now agreeing that the Eastern Philosophers were right all along, and Mr Descartes misled us. What is becoming undeniable is that you are an energy force, through your atoms, your nervous system and the second Chakra meridian system. You also have a magnetic field, anaura, capable of influencing, and being influenced by other such fields, and capable of being used in diagnostic tests to examine your health state. It is thus also capable of being manipulated by a host of therapies from crystal healing to basic osteopathy to regenerate and maximise its strength. We are also just starting out on an understanding of how our Universal Force connects us to a much higher force in the Universe. The brain is just another body organ, albeit more complicated and intricate than your liver or kidneys. However scientists are now clear that a problem in your liver can be detected in your brain. Is it so absurd to think that chemical changes in your brain cannot be detected, therefore, in your liver’s biochemistry? Each year in the USA 30,000 people commit suicide, the vast majority attributed to depression. 12 million people in the US are on anti-depressants. Depression is known to be linked to a reduction in blood oxygen levels by up to 30 per cent, and to an increase in cytokines and thus inflammation in the body. Both increase the risk of cancer. The risk of dying from a heart attack is up to six times greater if you also suffer depression. There are a number of chemicals in the brain, which act as messengers between the brain cells and when these become imbalanced the whole body startsf eeling the effects. Yes, of course there are drugs - like Prozac, Paxil and so on. But the brain is a natural organ and it needs high levels of certain fatty acids for full health. We just do not include the right ones in our diets in sufficient quantities any more. DHA, one of the long-chain omega-3’s from fish oils is the major constituent of all cell membranes in the brain. Take your cod liver oil, give it to your children, take it when pregnant. Already some research studies have found that fish oils can be more beneficial than the leading drugs but without the side effects. Depression has now been linked by teams in the USA to the cause and worsening of the conditions of cancer, heart disease, epilepsy, diabetes, osteoporosis, Parkinson’s, Alzheimer’s and even AIDS. We now know that depression is linked to lowered circulating levels of certain ’neuro-transmitters or brain chemicals. The brain makes a number of these like serotonin, norepinephrin eand dopamine. But, of course, these hormones are available to the whole body. Serotonin studies have shown that it can make blood platelets less likely to clump together, improving oxygen carrying capacity and reducing blood clots and heart problems. (An aspirin would work in the same way). In depression there is more absorption of these neurotransmitters and so lower levels circulate. Another common ’brain dominated’ illness is stress, although the hormones at the core of the problem are produced bythe adrenal glands. When the brain detects problems or a threat, a response starts in the amygdala, the hypothalamus and the pituitary gland, sending messages to the adrenals to produce adrenaline and a number of glucocorticoids - the prime one being cortisol. The heart beats faster, the muscles tense, the senses sharpen and digestion shuts down. Unfortunately Glucocorticoids do not then disappear after the event but remain at elevated levels indefinitely. This retained ’low level’ stress in the body results in elevated blood sugar, weakened immune systems, loss of bone mass (cortisol blocks oestrogen receptors on bone cells and also lowers calcium uptake), memory failure and artery hardening. The good news is that exercise and calming deep breathing have been shown to reduce depression and cortisol. Oxygenating (ie aerobic exercise) can make a big difference in reducing depression. Bristol University reviewed 52 worldwide studies and concluded that people who took exercise developed less cancers, and those with cancer survived longer. Exercise also produces ’happy hormones’ called endorphins, which neutralise the stressful ones. A team at the magazine ’Integrative Cancer Therapies’ have compared two groups of women with breast cancer overtime. The group that took a little exercise every day had 50 per cent less mortality. In 2004 we covered research from Seattle, which looked at 10,000 people with high levels of cortisol. One group was sent home to lie down for a week and their cortisol reduced by 5 per cent. But another group experienced their first ever yoga class and cortisol levels fell by 25 per cent within 24 hours; 65 per cent within one month. You can manage the negative hormones through a variety of ’exercise’ therapies, none of which really need to be extreme. And we do now know that certain foods and supplements like aspirin, omega 3, aloe vera, garlic and natural ginger can also have a cytokine/inflammation reducing effect. We have been learning about how the brain can influence even cellular biochemistry since Sir John Vane won his Nobel Prize in 1982. He demonstrated the workings of a group of localised cellular hormones called Eicosanoids. There are about 130 of them; some good, some bad ands ome, like prostaglandins, good in small doses and bad in excess. Eicosanoids only survive about one and a half seconds and are produced by chemical agents hitting the nuclear membrane of your cells; your prostate cell, your breast cell, your colon cell. What Vane showed initially, and others have expanded, was that messages from your brain arrived through hormones like cortisol and stimulated an enzyme in the nuclear membrane. This then caused a higher proportion of bad localised hormones, damaging the whole cell. Stressed brain - stressed breast cells. We now know that cortisol, steroids and insulin all stimulate this same enzyme to produce more ’bad’ eicosaniods. Vane showed that aspirin could switch off the enzyme, not completely but enough to allow the cell to produce less bad eicosanoids and swinging the balance towards the good ones. Thus aspirin could reduce the inflammatory effect of prostaglandins. Aloe Vera, which contains salycilin and a number of other ’anti-inflammatories’ would also be good. Since that time, long-chain omega 3, (from fish oils, as opposed to inert short claim omega 3 from linseed and flaxseed), garlic and ginger, have all been shown to act in the same way, inhibiting the enzyme and thus increasing the percentage of happy localised hormones. Harvard Medical School has a number of studies each showing the importance of a good, whole food and nutritious diet leading to lowered depression levels, higher blood oxygen levels and lowered stress hormone levels. Other studies show individual foods (like flaxseed) linking to increased blood oxygen levels. Las Palmas Medical School showed a reduction in depression levels amongst thos people eating a Rainbow Diet, high in coloured foods and olive oil. Indeed, olive oil seems to enhance the effects of fish oils (Cancer Watch 2012). UCLA have shown that stress can reduce the length of telomeres. What are telomeres? Imaguine your DNA as a shoe lace. At the two ends of the lace you have plastic bits ensuring the lace doesn’t fall apart. These are telomeres. As you age they shorten. There have been several studies showing that omega-3 in fish oils slow this process. In times of stress, especially chronic stress, and during cancer, the telomeres shorten. UCLA showed that dietary changes (like consuming oily fish), but also stress management techniques, yoga, meditation, counselling and so on, could re-lengthen the telomeres. These people survived ’significantly longer’ said the researchers. Cut a finger and blood rushes out. Cut a brain and blood rushes out. There is no spilling out of ideas, thoughts and emotions. The Mind is a concept belonging to philosophers, not a frequent feature in a medical text book. But just as the mind has an awesome power enabling us to love, fear, imagine and hate, the fact is that most of us are limited by our minds. We wonder what the time is and we hurry to finish something. We need to go to a meeting and worry that it is 100 miles away. We think we can’t do something, so we don’t try. ’Whether you think you can, or you think you can’t, you’re usually right’ said Henry Ford. Einstein told us that there is no such thing as time or space - they are your definitions and don’t really exist. Only energy exists. The Chinese have believed for thousands of years that there is no yesterday, and no tomorrow. There is only now, and you with your actions and thoughts. One man’s problem is another’s opportunity. One man’s slow is another’s fast. It’s time to open your mind. The pituitary gland sits right under the hypothalamus. It is the master gland and controls all others. Even though it is only the size of a pea. It produces growth hormone, pigmentation hormone, water retention hormone and several others. One of the others is oxytocin, which was thought tobe confined to a benefit during childbirth where it helped relax the important bits and speed contractions. And then the University of Claremont, California discovered that oxytocin is the hormone of Happiness and Trust. The University of Zurich then discovered that it played an important part in increasing trust-based business deals and money transfers (who said those Swiss were only interested in money?) and they even tested people talking by phone thousands of miles apart. When oxytocin increases you become happier and more trusting. Unfortunately at Northwestern University they found that happy people are more trusting because the hormone reduces the mental processing abilities, making people less discerning. The pineal gland is right in the centre of the brain. Very little was known about the gland and it was frequently left off drawings of the brain in the late twentieth century. This is all very surprising when you realise that the Greeks thought it was ’the realm of thought’, Descartes thought it was ’the seat of the soul’, and Eastern believers have identified it as the ’organ’ of perception - the third eye - for thousands of years. This has suddenly all changed. As we have covered in icon over the past 18 months in some detail. Firstly, the pineal gland produces melatonin, principally about 90 minutes after you fall asleep. This production is seriously affected by light on the retina and research with night shiftworkers and nurses and long haul air hostesses has shown that it is an essential ’balancer’ to oestrogen, and a decline in it is linked to higher cancer rates. Secondly, the gland is connected to Circadian rhythms, day and night biochemistry, seasonal development, breeding and more. One report we covered in ’Cancer Watch’ even stressed that taking chemotherapy was under the influence of such features and there was a more effective time of day, and a less effective time. The worrying fact is that the pineal gland, being an energetic organ, is particularly susceptible to electro-magnetic frequencies, and EMF’s have been shown to disrupt and lower the production of melatonin. There are a great number of studies on this, particularly with breast cancer. The pineal gland is now known to connect the Limbic system of the brain to the nervous system. And it is the centre of ’perception’ in the body after all. Scientists have now found that the Limbic system is the spiritual centre of the brain. Research studies have shown conclusively that it is the centre of dreams, and people undergoing electrical stimulation of the Limbic system have reported seeing angels and devils. During Meditation the pituitary and pineal glands have been shown to resonate in unison. But that’s not all. It has been well documented that Tibetan monks use meditation to slowt he ageing process by reducing stress (cortisol) levels. However they can also meditate when surrounded by deep snow, as they can use meditation to regulate their whole internal metabolism including breathing and heart rate. At the Columbia Presbyterian Heart Institute in America, clinical trials with controls have observed that patients who meditate before an operation experience less operative bleeding. The same Institute has shown the benefits of massage, yoga and meditation in randomised trials. Patients using these techniques - even those using sham sound tapes of meaningless words but calm tones - manage pain and reduce anxiety better. What is happening? Early tests seem to show that meditation reduces the effects of the whole adrenaline/cortisol and para-sympathetic systems. It also reduces the metabolism of red blood cells and the production of inflammatory cytokines. UCLA Irvine have conducted clinical studies showing that a group using diet and Transcendental Meditation reduced stress hormone levels 48% more than a group using diet alone. At Philadelphia University researchers have used PET scans to show that whole areas of the brain are ’shut down’ during meditation, and during Nuns praying. But what of religious belief? In 1995 at the Dartmouth-Hitchcock Medical Centre, their research showed that ’A major prediction of survival from heart surgery was the degree of the patient’s religious belief’. The National Institute on Ageing has concluded that, ’Geriatric patients are healthier if they regularly attend religious services’ and at Dukes Medical Centre in 2001 preliminary research showed that those patients with a God survived up to seven times longer than those with no religious belief. How on earth do you conduct a clinical trial on that? A whole line of thought on healing is now being developed under the heading of PNEI, Psycho-Neuro-Endocrino-Immunology, where our feelings, emotions and thoughts are fundamental to the workings of our body. Long the domain of the Naturopath too, the theory also holds that the individual is simply a part of nature’s big picture. Proponents argue strongly and logically that modern medicine like surgery, called allopathy, will never fight the root cause of an illness and runs counter to healing. The body is always capable of healing itself and even when in pain the tears of an individual show traces of healing hormones. The use of drugs and pain killers actually stops these natural healing processes. Which takes us right back to the beginning - why should you not expect to be able to change your basicc ellular structures by feeding it the right mixtures of new atoms? Add now to this...and the right levels of energetic frequencies, of exercise and oxygen, of calming meditation and mind therapies. And you end up with natural, holistic healing programmes. A number of good books have been written on the subject of the mental state of the cancer patient. A whole area of study PNEI encompasses it. (We cover this very simply in ’Everything you need to know to help you beat cancer’. One common factor is that cancer patients are often the nicest people. They are forever trying to please others; and of course you can’t please all of the people all of the time. Great Aunt Maud is never happy. So frustration sets in. Even guilt that we have not managed to find time for everyone or, despite the attempted help, the recipient was under-whelmed or ungrateful. Often our patient gets stuck in the wrong job, not wishing to complain or cause a fuss. This causes more frustration and stress. Our patient is so busy trying to please everybody they don’t go to the gym, or eat properly. They simply forget to please themselves. I call it ’self-stress’. It’s at the core of many cancers. About a couple of weeks after you get cancer you realise that so many of the things you previously did were a waste of time and effort, un-necessary diversions to you having fun and developing your own self-worth, your own ambitions, your own self-fulfilment. If you are reading this, and you haven’t got cancer please don’t wait. Take a piece of paper. Draw a line top to bottom, straight down the middle. On the left write down all the things you really enjoy, your real friends, the things that are fun, the things you used to do that were fun. Things that give you real pleasure and, you just don’t do anymore. Old Hancock movies, Del boy videos, watching show jumping, going swimming, going to a show, seeing old ’lost’ friends. Whatever!! On the right, write down all the things (and the people) that cause you grief, make you feel frustrated, guilty, and worthless. Now one final box at the bottom of the page. Write down three things you’d really like to achieve in the next 5 years. Go on, you can, if you put your mind to it. Now, stick this on the ’fridge door’. And start. Do more of the things on the left. Cut out the things (and people) on the right. Go on; be true to yourself. About 18 months ago I interviewed Dr Contreras of the Oasis of Hope in Mexico. He uses all manner of therapies from chemotherapy and radiotherapy to vitamin B-17 and ozone therapy. He’s in Mexico, because he’s Mexican! He told me a story, confirmed by others in his team. One day he finds himself interviewing a 55 year old lady with breast cancer. She’d come with her husband. Hopefully this doesn’t mean divorce! After a few minutes, Contreras realised something. Every time he asked her a question, her husband answered. 30 minutes later and he asked the man to leave the room. At the Oasis of Hope they use a diet therapy similar to Gerson Thearpy. They also use Metabolic Therapy (laetrile treatment, oxygen therapy, pancreatic enzymes, vitamin C). In this case, they decided to give the lady no further therapies, just counselling. One hour in the morning, one hour late afternoon. Seven weeks later when they tested her, the breast cancer had gone. "Well, you see, she just had all this ’stuff’ she needed to get off her chest, because her husband wouldn’t let her express her true self", Contreras told me. Be true to yourself - cut the things (and the people) that cause you grief.